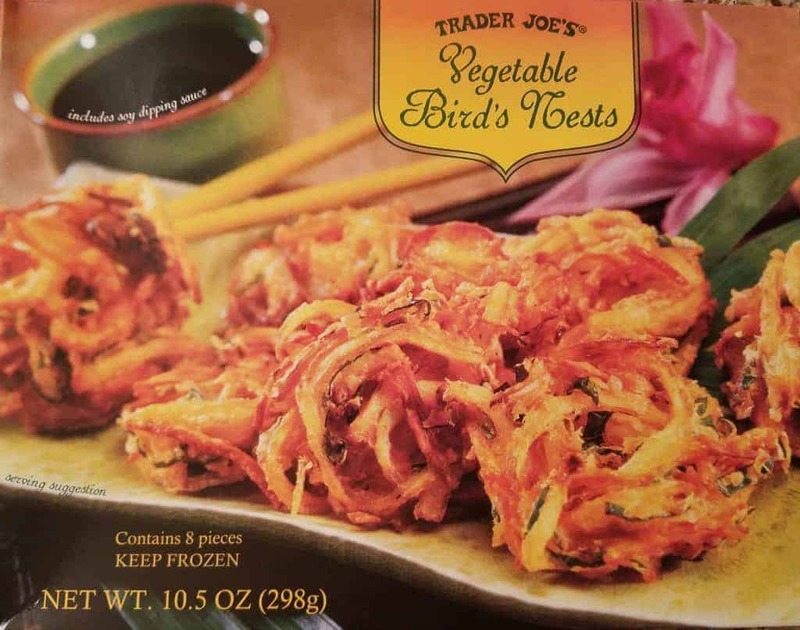 The pros: Trader Joe’s Vegetable Birds Nests is a quick appetizer ready in about 10 minutes. If you enjoy fritters, you’ll probably like this. Sauce was a very tasty tempura sauce. You probably won’t even need the second packet. Nests are good on their own, but the sauce is what really makes them. The cons: While this looks like it would be a healthy choice in the appetizer section, it is tempura fried. While you might be expecting veggies here, it’s mostly onion. It felt very greasy on my hands and may benefit from sitting on a paper towel for a minute or two. 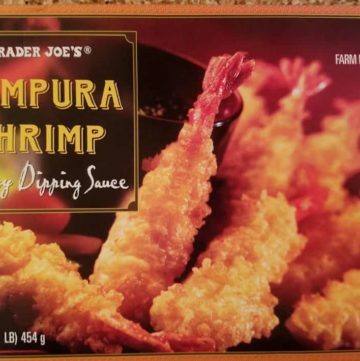 The pros: Trader Joe’s Tempura Shrimp are fried goodness. 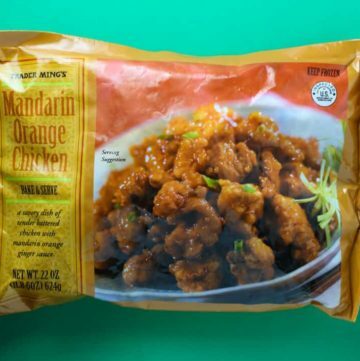 While not as perfect as your local Japanese restaurant might serve you, this is as good as it gets in the freezer aisle. While these come to you already fried, they did not feel nor taste greasy. Sauce is a soy based but also tastes of a teriyaki as it’s thicker than regular soy sauce. The cons: Enough dipping sauce for several batches of tempura, which means there is some serious waste here. I wish I could find another use for the excess. They include 2 packages of sauce. One package would be more than sufficient for both. Unless you are literally drinking the sauce. 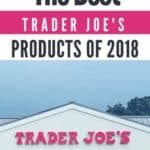 The pros: Trader Joe’s Portobello Fries are a phenomenal alternative to potato fries. Imagine tempura fried steak. Instead of steak put in the meatiness of portobello mushrooms with the right balance of subtle seasoning. The cons: Some of the largest pieces were not as crispy as I would have liked. No microwaving allowed on this one. 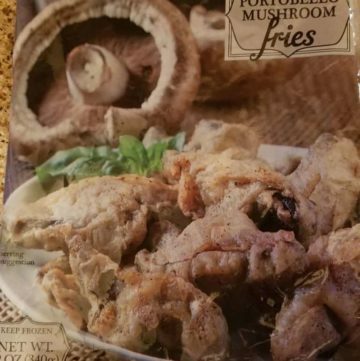 Because the mushrooms were all different sizes cooking times will vary. Some will be ready before others. 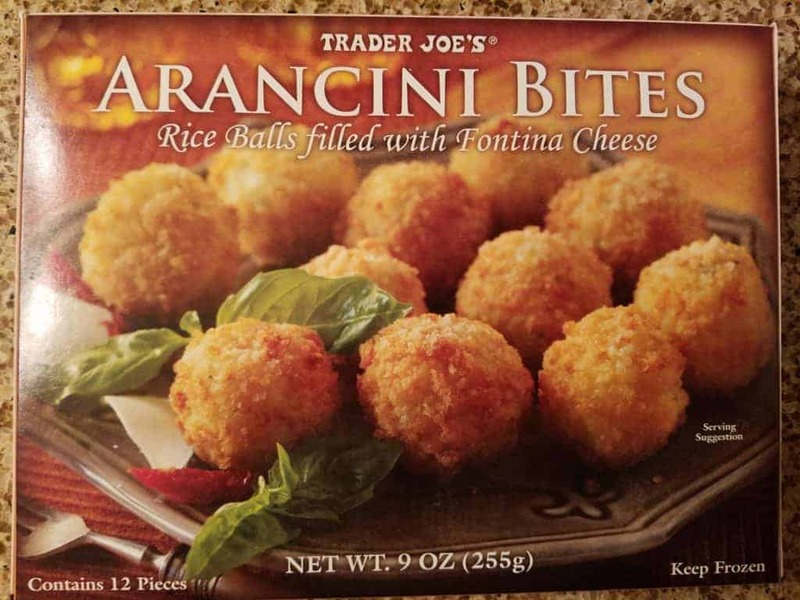 The pros: Trader Joe’s Arancini Bites are ooey and gooey cheesy rice balls that have a molten chunk of cheese waiting for you if cooked correctly. Ready in under 15 minutes. 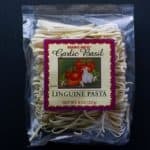 This is one of my go to items if I need a quick side, appetizer or I’m just too lazy to make dinner. The cons: No microwave allowed on this one. 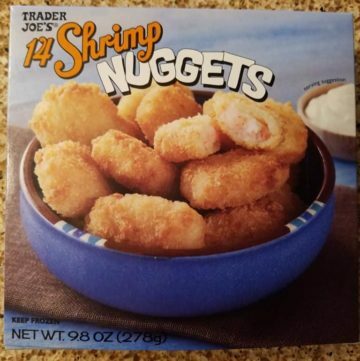 The pros: Trader Joe’s 14 Shrimp Nuggets contain crispy and crunchy shrimp nuggets straight from your freezer. The cons: Greasy. A lot of breading as compared to shrimp. 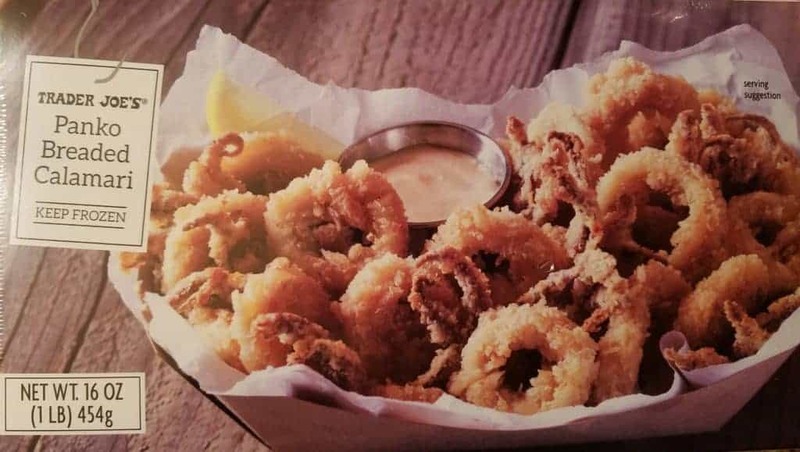 The pros: Trader Joe’s Panko Breaded Calamari is a good value as you get a whole pound of calamari for $5.49. Good lucking making it that cheap or ordering it out that cheap. 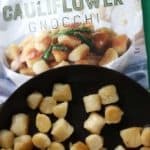 The taste was pretty close to what you would get out only slightly less tender but well done. 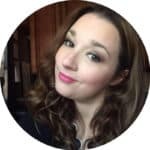 The cons: Once people realize it’s in the freezer section, it may become hard to find. They could cut down on the amount of trash this creates. The box was shrink wrapped and the was another plastic bag inside the shrink wrapped box. 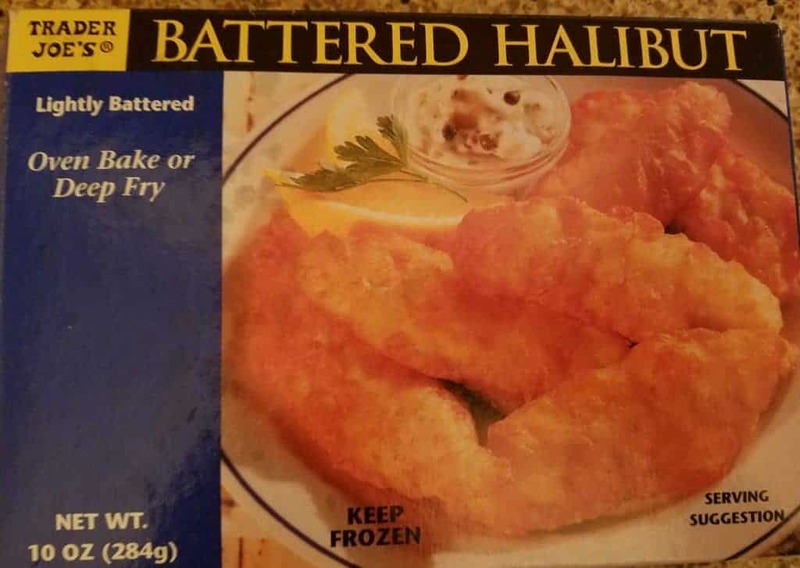 The pros: Trader Joe’s Battered Halibut makes for a quick, easy dinner. Crispy batter when it comes out of the toaster oven. Just needs a side dish. 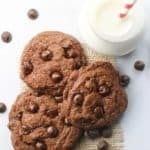 The cons: Is it as good as homemade? No, nor is it as good as your local pub if you are looking for fish and chips. $8.99 for the box, pricey, but a few filet o fish at McDonalds will set you back just as much. Plus this does taste better. I’ve eaten my way through most of the Indian, Korean, and now the Chinese selections at Trader Joes. Just about all of them were excellent. 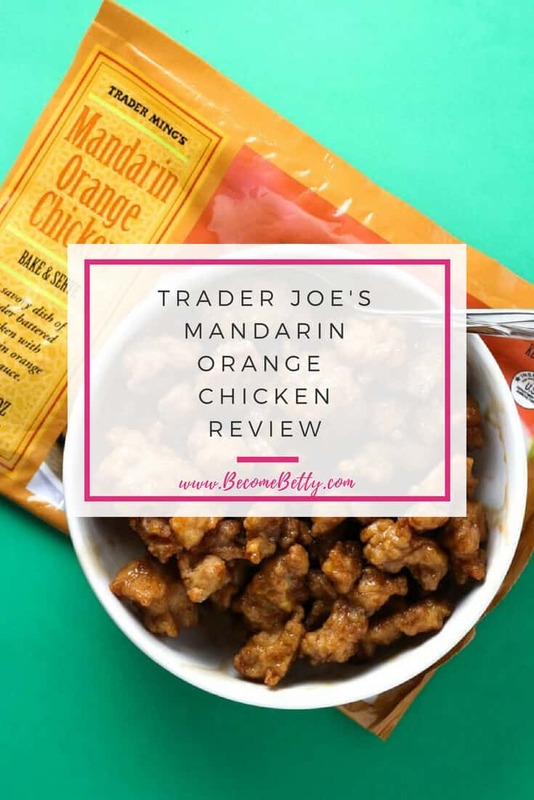 If you enjoy Chinese food and don’t mind messing a sheet of parchment and a mixing bowl Trader Joe’s Mandarin Orange Chicken might be for you. For the price difference I would be hard to justify not to. Where else can you get a serving of Chinese food for about $1.25? You’ll still have to add something to this dish to make it a meal. It needs either rice or some stir fried veggies to complete it…. 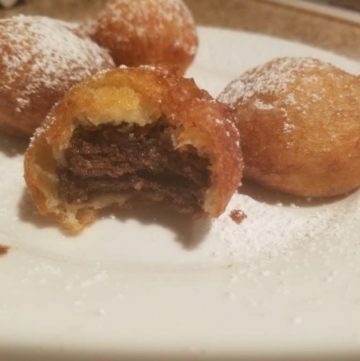 Deep fried Oreos move over. If you can get to a local Trader Joe’s an locate Macarons in the freezer section, this is an easy recipe for Deep Fried Macarons. It’s also more affordable as you can pick up a dozen macarons at Trader Joes for about $5. Some places charge something close to that for one macaron. The principles apply here as in deep fried oreos. Yes, I know I posted a macaron recipe on this site already. If you don’t have hours worth of time or don’t want to deep fry your hard work it is totally a Bettyfied way of going about things. Judgement free zone here, short cuts are absolutely acceptable. 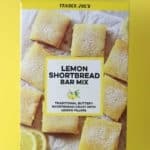 Trader Joe’s has a variety of flavors ready to go: Vanilla and Chocolate, Mango, the six variety pack, or molten chocolate. For this experiment I used the Vanilla and Chocolate variety….